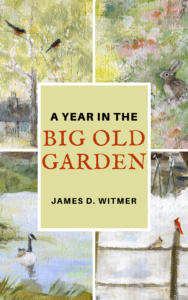 EDITOR’S NOTE: James’ short-story collection, A Year in the Big Old Garden, releases for Kindle today! SW: You are the managing editor at Story Warren and have skillfully edited many books (including The Green Ember Series for me). How is writing your own book different from editing and what from your editor skillset has helped? JDW: I love being an editor! It is an honor to be asked into the creation of something new, and a pleasure to be able to help in small ways to make that new thing good. I always feel like I’m getting away with something; sneaking into the show early, as it were. Nothing about editing, however, prepares one for the stomach-sinking, standing-on-the-edge-of-a-high-dive feeling of beginning your own story. In fact, I get that feeling at the beginning of every new scene. I have to wad up a pretty big ball of courage in order to type out words that I know will not, at first, be good enough. 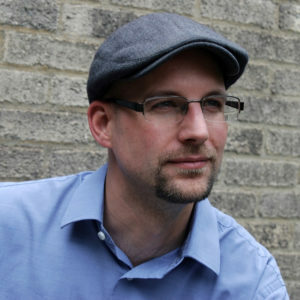 I guess that’s how my editing experience helps, though: I know that a story becomes really good only in the re-writing. And re-writing I can do, so I have no excuse not to throw myself off the diving board and write a crummy first draft. SW: A Year in the Big Old Garden is a collection of short adventures in one place and the setting is almost another character. Was that intentional? Why do small stories in a Big Garden work for families? JDW: That’s a good question. I’m not sure how intentionally I made the setting a character, exactly, but I think it happened inevitably, because I see real trees, real ponds, and real animals as individual characters in God’s ongoing story. If He personally feeds the birds of the air and clothes the flowers of the fields, then that makes sense out of my intuitive feeling that they must be more than a painted backdrop for the “real” action. I think that, for my family, these stories have worked because of that exact thing: every squirrel, every robin has a unique story that God alone can know. Putting those stories into somewhat human terms, while still trying to be faithful to the character of these animal species, helps us to take joy in the moments of Divine attention happening all around us. JDW: I really hope it does what all good read-aloud stories should do: Create shared moments of enjoyment. Beyond that, if families find themselves enjoying nature more, or simply noticing more about the places they live, I would be delighted. SW: What is the best way people can support you as an author? JDW: That seems like a complicated question these days, with the endless clamoring of mostly-negative media, doesn’t it? But I think that’s also the clue to how anyone can support any artist – tell your friends about good things. Whether they’re more comfortable with social media, writing Amazon reviews, or chatting on the front porch, I’d be honored for anyone to share A Year in the Big Old Garden with a friend. Of course, buying the book never hurts, either. Congrats, James! Sounds like the perfect book for our family ~ headed over to get our family a copy now! It was great to read a little more about your thoughts on the new book, James! Getting to know the place you live and see the beauty in it is a pursuit that’s close to my heart. Congratulations on a beautiful book! Thank you, friend! Grateful for the “weeding” you did in the BOG. I love what you said here about not having any excuse not to write a crummy first draft even though it feels so awful to plunge into that. And your book definitely sharpened my consciousness of things I’ve witnessed or witness everyday in backyard nature. Congratulations! You are a gifted editor and invest your gifts so much in other’s work — I’m so glad for your own work to be enjoyed. Thanks, Isabel – I’m glad you enjoyed it!